Welcome to Sacred Heart Catholic Church, Bilton, Rugby in Warwickshire, England. The parish has been in existence for more than 50 years. Holy Thursday – Mass of the Lord’s Supper at 7.30pm. Good Friday – Commemoration of the Lord’s Passion at 7pm. Holy Saturday – Easter Vigil at 8.30pm. Easter Sunday – 9.30am. David Fletcher, Mary Carter, Nana Klados, Pauline Ollerenshaw, Elizabeth Lennon, Brendan Lennon, Harriet Taylor, Tracey Cox, Suzanne Ovens, Michael Evans, Christopher Browne, Nigel Weston. List updated March 31st. Sacred Heart Parish is part of the Archdiocese of Birmingham. Charity number 234216. Watch live streamed services from Catholic churches and monasteries in the UK and overseas. The Christmas Party at Sacred Heart Church. Parishioners discuss key issues facing the Church at a Living Faith talk. The Easter Vigil at Sacred Heart Church. 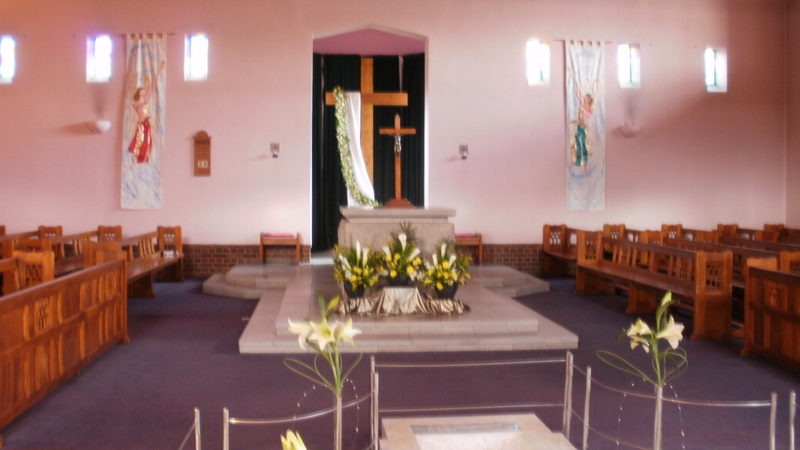 The Easter services at Sacred Heart Church. The Easter candle burns at Sacred Heart Church. What is the Missa de Angelis?